Plastics are enjoying substantial growth as a packaging medium, at the expense of materials such as glass, metals and paper, and in spite of environmental pressures on plastics materials in general. The growth of plastics packaging is due in no small part to the technologies available to convert available materials into packs of different forms - flexible, semi-flexible and rigid - at high speed, with the option of including decoration as part of the moulding process. This volume acquaints the reader with the technologies that can be used to convert a limited number of polymers into a myriad of packaging formats. 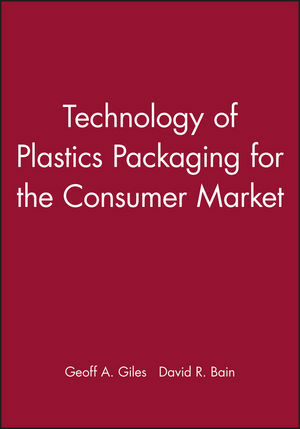 Designed as a companion volume to Materials and Development of Plastics Packaging for the Consumer Market (eds G A Giles and D R Bain), it covers the manufacture of plastics packaging for the food, beverage, household and personal care products markets worldwide. Chapter authors have been drawn from industry or from sources close to industry. The volume is directed at packaging technologists and those involved in the design and development of packaging. It will also be of interest to those involved in specifying or purchasing packaging. Technical and commercial considerations; Injection moulding; Extrusion blow-moulding; Injection blow-moulding; One-stage injection stretch blow moulding; Two-stage injection stretch blow moulding; Thermoforming; Blown film; Filling, labelling and handleability of plastic containers; Plastic closures used in the consumer packaging market; References; Index.